Should lip liner be an essential part of your makeup look, or it is a gimmick to get you to buy more products? I will admit that I don't always wear liner, but it really does help you get a polished look that lasts all day long. Since your liner should match your lipstick shade, you will need to buy a liner for every lipstick you wear. If you don't want to buy a liner for every shade, then buy a few for your darker lipsticks to stop them from bleeding or your lipsticks for evening wear. Lip liner defines the edges of your lips. If your lips are naturally defined, you may be able to skip this step. However, if the edges of your lips are uneven, using liner can help you look more symmetrical and polished. Liner also helps stop your lipstick from feather, or spreading, on to the skin around your lips. By the end of the day, if your lipstick is smeared beyond your lips, try using a liner. Darker lipsticks have more pigment, so they are more likely to feather. Liner is thicker than lipstick, so the color lasts longer. By lining your lips and filling in with the same product, it can help your lipstick last longer. The color will be matte, so you'll want to reapply your lipstick or gloss as soon as you can. Liner comes in a pencil or thick liquid. Pencils need to be sharpened before almost every use, but liquid liners are ready to use each time. If you do use a pencil, you'll want to be sure that you're not using it with a sharp point. That will draw a harsh line on your lips, which definitely doesn't look natural. You want a rounded tip for a soft line. You can also use a lipstick brush to apply your liner. This gives you more control and a more precise application. 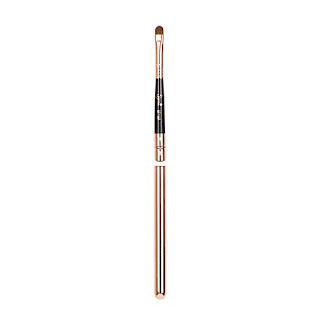 You can also use the brush to feather the edges of your liner for a softer look. If you have thin lips, line just outside your natural lip line to make lips appear fuller. Be careful you do not stray too far from your lips because it will look unnatural. Generally, you should stay on your lip line except in small areas where you need to correct the line to make it straighter. 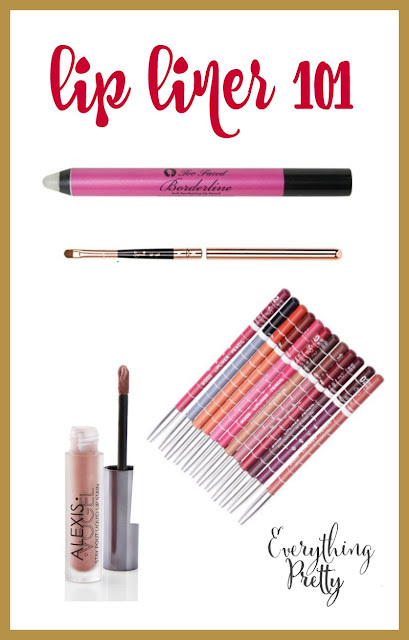 Choose a lip liner that is the same shade or one shade darker than your lipstick. Lighter liner will clash with your lipstick. Liner that is more than one shade darker than your lipstick will be obviously too dark and won't look natural. If you wear a glossy lipstick, a liner might be too harsh. Instead, use a product like Too Faced Borderline Lip Pencil. 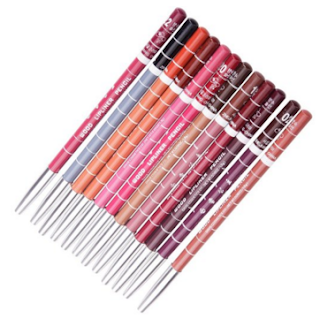 This revolutionary product is colorless so it works with every lip color. It gives your lip gloss something to adhere to and keeps your lips moisturized. Lip liner can also be used as an all over color. Matte lipsticks are popular right now, and this will give you a great matte look. If you do use one for your entire lip, just know that matte lips will highlight any imperfections. I keep my lips soft by using a lip scrub often.